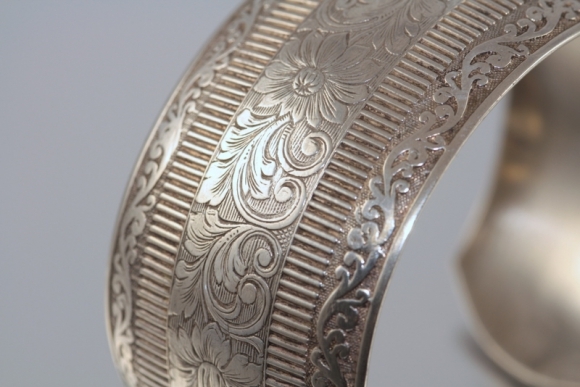 Detailed engraving ornaments this lovely sterling cuff. The edges sport a scrolling vine motif with a floral motif in the center. 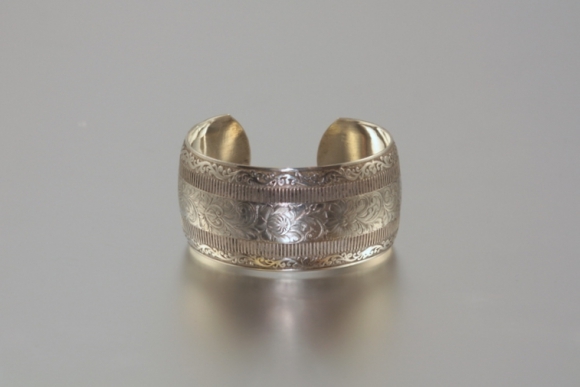 The cuff measures 1 1/4" in width. 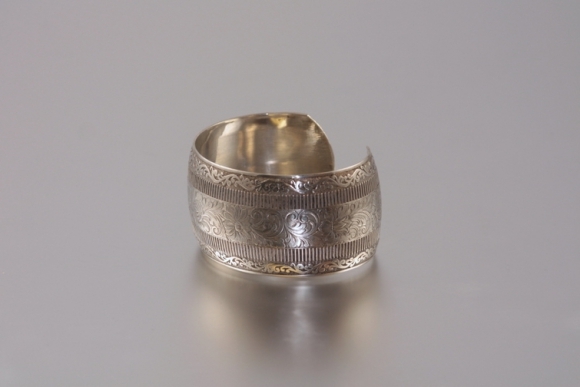 The inside diameter is 2 1/4" by 2" with a 3/4" opening. 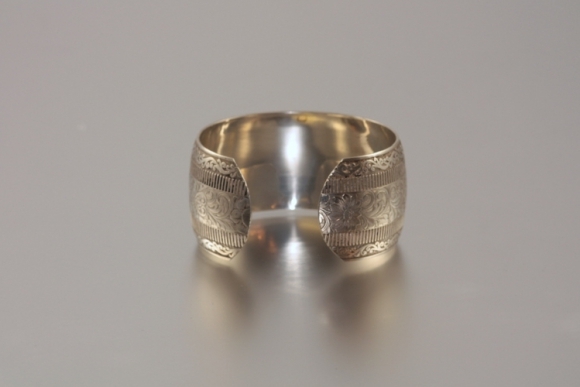 The cuff opening is flexible to accommodate most wrists. 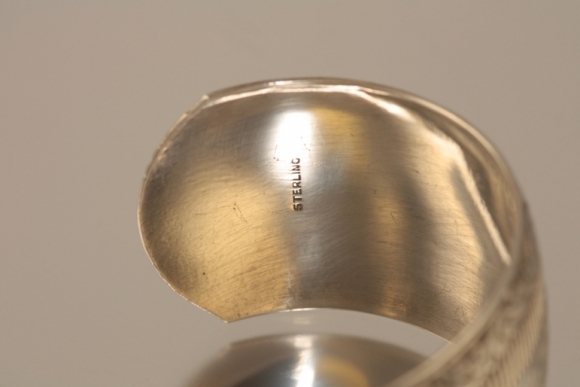 Marked Sterling.